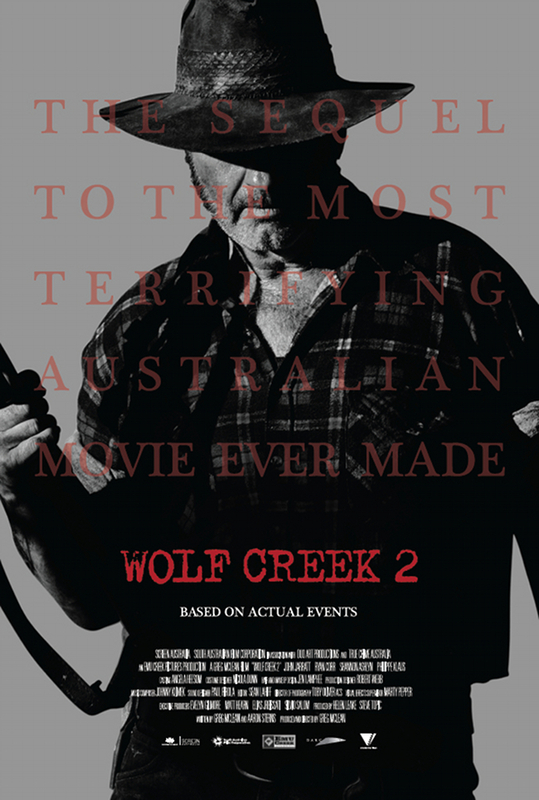 ‘Wolf Creek 2’ will officially be horrifying film audiences next year, as Image Entertainment has acquired the anticipated sequel at the 2013 American Film Market (AFM). The announcement was made today by the independent distributor’s Chief Acquisition Officer, Bill Bromiley. McLean, who helmed and scripted the original 2005 hit film, ‘Wolf Creek,’ returned to direct and co-wrote the script for the follow-up with Aaron Sterns. Actor John Jarratt, who played the first movie’s antagonist, Mick Taylor, returns to the sequel, as well. Shannon Ashlyn, Ryan Corr and Phillipe Klaus also co-star in ‘Wolf Creek 2,’ which is scheduled to be released in 2014. The deal was negotiated by Mark Ward, Jess De Leo and Bromiley on behalf of RLJ Entertainment and by Ben Weiss at Paradigm. Peter Nelson and Joel VanderKloot at Nelson Davis Wetzstein LLP also negotiated the deal on behalf of the filmmakers. The sequel to the smash box office hit, ‘Wolf Creek 2’ reunites viewers with the Australian outback and the film’s murderous bushman. The outback once more becomes a place of horror as another unwitting tourist becomes the prey for crazed, serial-killing pig-shooter Mick Taylor.